In a world ruled by technology, emails have become the foundation of all business and personal communication. Years ago, as Google became the leading search engine being used and AOL mail was the go-to emailing service, Yahoo was born. As emailing grew in popularity, Google and Yahoo created emailing services known as “Yahoo Mail” and “Gmail.” Google emerged as the front-runner, just as everyone expected. Acting as the world’s default search engine, it was only right that Gmail became the default email service for the business professional world. Services like folder organization, snoozing abilities, up to 15gb of free storage, and the ability to customize your address using your own domain name make Gmail the perfect choice for your business. Do you have multiple devices that you use daily? Maybe a phone, tablet, and a laptop? Google Apps like Gmail, Google Calendar and Google Keep cater to people like you by being able to experience these apps on any one of your devices. No matter what device you are using at the moment, you will be able to access the same emails, messages, attachments, notes, meeting times and documents on every one of your devices. One of Gmail’s best services is the integration of Instant Messaging (IM) and Email. Gmail allows you to send messages to your contacts that are online quicker and easier. All of this can be done within your email browser using Google Hangouts. Gmail took a stab at the email platform and specialized in the in-email services such as flexibility with attachments, folder organization, and altering the size of attachments. One of the biggest impacts in Gmail is that it is thought to be the more “professional” of the email services. People seem to believe that Gmails competitors are less credible. The spam filtering algorithms Google uses create less false positives so checking your spam folder for good messages is a thing of the past. Document sharing is a small part of the power that google apps offers, but an integral one. You will also get the use of Google drive which allows you to upload and share files internally or with those outside of your business. Google apps has virtually no downtime. In fact, the system as a whole almost never goes down. Google Apps has near unlimited scalability with instant-on ability to tack on as many – or as few – users as you may wish. It’s all controlled on the Apps Control Panel and administration is seamless. Google updates it software for security, usability and features without any interruption to your email access and at no extra charge. You can access your email easily from your smartphone, tablet or any computer. Googles email interface is easy to use and has a full help center in case you do encounter an issue. So, What Really Goes on At a Public Relations Firm? 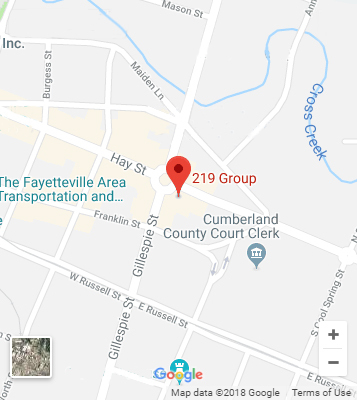 219 Group Is A Veteran-Owned Marketing, Advertising, And Public Relations Agency That Creates Innovative, Big Ideas And Delivers Marketing Solutions To Help Our Clients Share Their Vision And Tell Their Stories. Services Include Brand Development, Digital Advertising, Graphic Design, Search Engine Optimization (SEO), Social Media Marketing, Lead Generation, Media Services, And Public Relations.